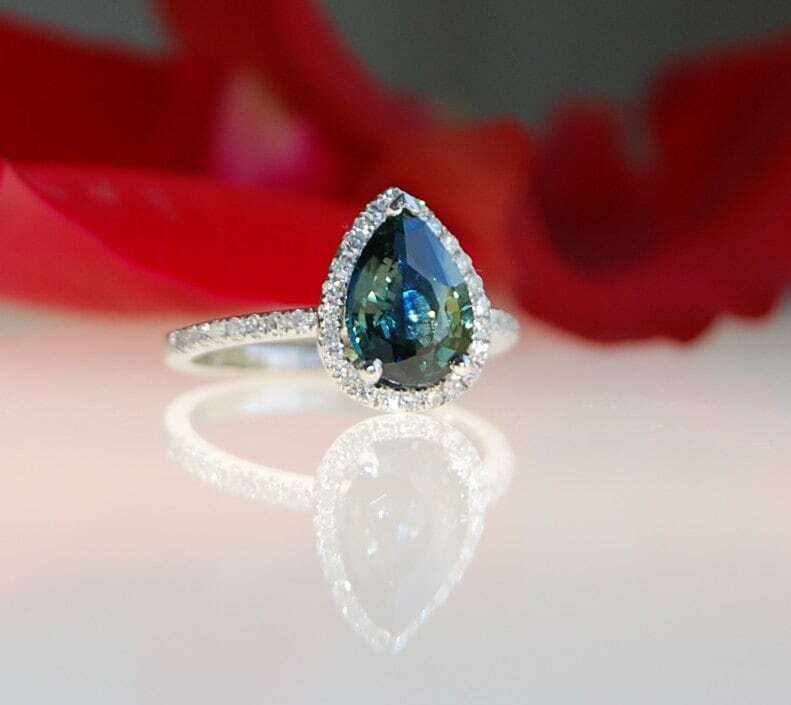 Pear Peacock sapphire ring by Eidelprecious. 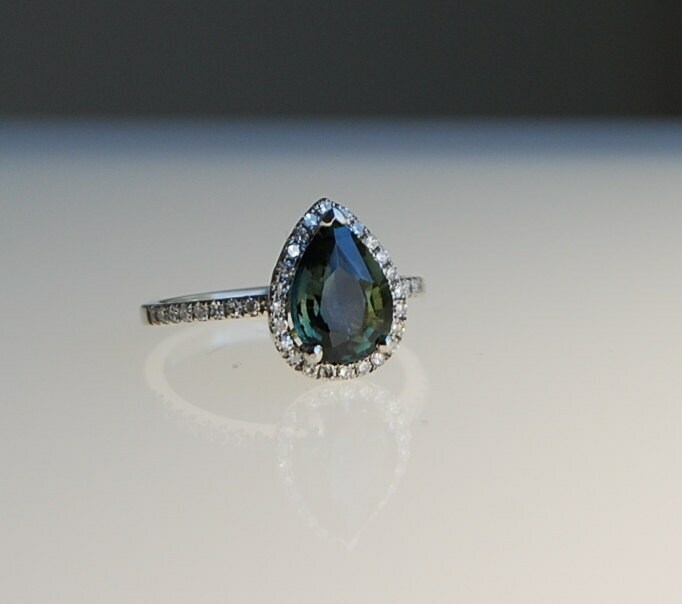 This ring features an amazing 3ct color change sapphire that looks blue or green or both - depending on the lightening. Eye clean, unheated, very sparkling. Gorgeous rock! 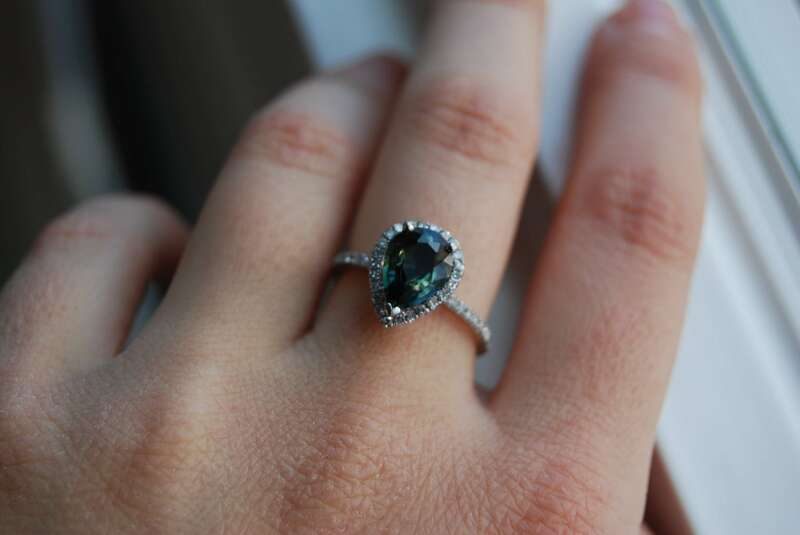 The sapphire is set in Eidelprecious Signature halo setting with fleur de lis on the back. Made in Platinum 900, TDW 0.2ct, SI/H. Matching band is available upon request.